Palace of the Crown ruler of Dragonstar West, heir to the throne of Karthwasten before the annexation. Large interior split up into different cells, with living quarters, servant quarters, meeting rooms etc. Heavily guarded. T_Nor_FurnM + T_Imp_FurnSky for servant areas, storage, kitchen etc. Claim, if there are no objections. I'm just trying some things out now. For an int of this size, perhaps you could describe your plans a bit? And grant. Great to see you working through these. - Throne room in the front-left building. Two stories high, with a mezzanine. 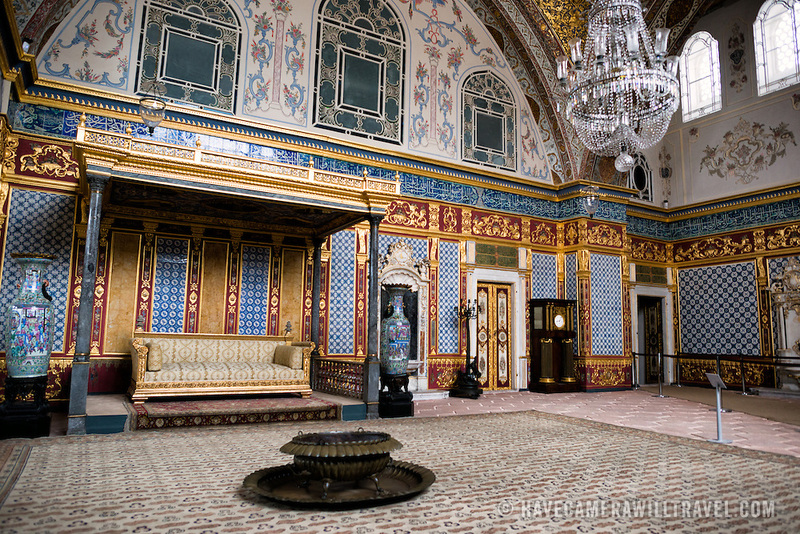 Kinda like a wooden take on Topkapi Palace. - Corridors, meeting rooms, barracks in the back building. - Living quarters and servants quarters in the building on the right. Do we have any information about this ruler, other than that they are a Crown? Do they owe fealty to anyone, other than nominally the Emperor? What's the extent of their territory? That sounds good. Check out the Karthwasten large manors and Red Palace for some inspiration perhaps. The Crown noble living here is the son of the former Utei which ruled the northern Tomba of Crown lands (Karthwasten, Dragonstar, possibly Skavyn). The Utei was murdered during the siege of Karthwasten, but his infant son was smuggled to a safe location near Dragonstar. Now he's about 30 years old and a lot of Redguard groups want him to retake the throne of Karthwasten, which is his by right. But he's not so hestitant to do so, mainly because there's no way it's realistically military possible. He has a lot of power by right, but is mostly trying to keep the peace and deescalate the Dragonstar situation. A lot of Dur-Gada related groups see him as weak because of this. For the record, Utei and Tomba are fancy terms that Tamriel Rebuilt came up for its old Hammerfell project. The Yoku political system was a clan-based hierarchy, and it is somewhat feudal. However, there is a great deal of social mobility in Yokuda, and stature is mainly based on how much of a badass you appear to be. The basic unit of govnerment within the Yoku system is the tomba, plural either tombu or tombas, the leader of a tomba is an utei, plural uti, utei or uteis. They are rather like clans, though there isn't necessarily a family connection. Each tomba does, of course, have its own state. In Old Yokuda, there were more than a hundred. After the sinking, the survivors were organized into 7: Herne, Cespar, Kai, Nahukh, Hegathe, Gilane, and Hunding. Their homesteads should be mostly obvious, Kai is of Stros m'Kai, Nahukh is of Sentinel, and Hunding is of Rihad. Since then, two more tombas have been formed, Skaven of Skaven, and Nudri of Dragonstar. Hunding died off eventually, and Taneth, Rihad, and Elinhir are all no longer organized under a tomba system. 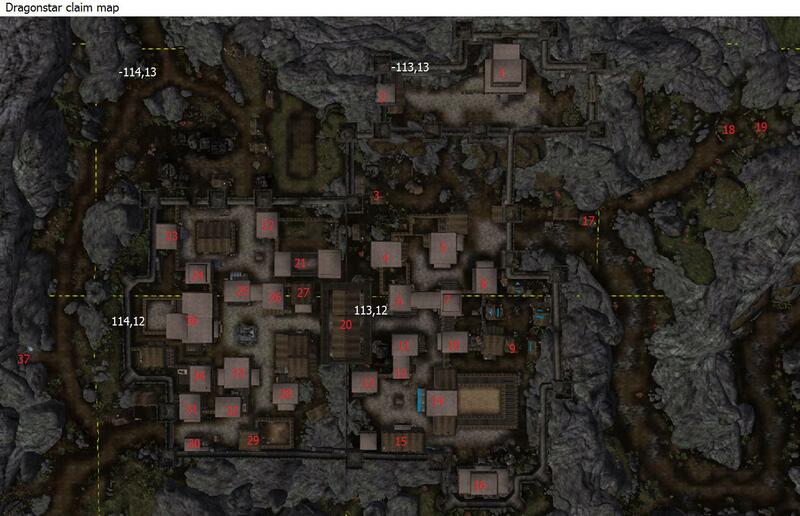 In TR's old plans, it gets more complicated than that, but since we're not actually making Hammerfell, we'll probably leave out a lot of the details. I'm unsure of whether we should use T_Nor_FurnR or furn_com_R in this interior/upper class Redguard interiors in general. What do you all think? A fair question. Do you have a recommendation for any substitutes? When I get home I'll post what I've made so far (it's been absolutely doing my head in) and you can see what you think. Happy to take any other direction, as well. As Nor_FurnR has already been used in the Order of the Dragon Tooth int, I'm reluctant to change that.. But it really is an explicitly Nordic set when you look at it. We will use T_Nor_FurnR in Dragonstar East though, but only the palace should use it, really. I'm not even sure the Order of the Dragon Tooth should've used it, but whatever. It shouldn't be that common. The substitute would be the vanilla furn_com_r set, with T_Imp_Furn additions. And then still use Nor_FurnM and Imp_FurnSky for the lesser glamorous parts of the palace. I thoroughly agree*, but I suppose it's a matter of making use of limited resources. When it comes to, say, adding new tapestry textures - what's the process? Is it a simple matter or a "fundamentally changing it in Blender" matter? EDIT: *With the first part. I only skimmed the second part, but that makes sense too. EDIT II: At great cost to my sanity, I've got a tenuous working relationship with NifSkope and BSAExtractor. At the very least, I can mock up a new .dds for Dragonstar tapestries, but someone else might need to put it together. Or better still, give me a quick rundown here. EDIT III: Scratch that, I've got no idea. Mipmaps and all sorts of things going on. Last edited by Tristior on Sat Jun 03, 2017 5:45 pm, edited 2 times in total. Here 'tis so far. I think that's the basic shell, and I'm on to filling it in now. I've split it into two cells (Throne Room and Private Quarters) but I'm wondering whether it should in fact be three cells (+ Servants Quarters, or something). I've used Nor_FurnR as I'd done what decorating there is before today, and I've again used the Navy banner as a placeholder - perhaps we should put together a Dragonstar banner, if it doesn't exist. Elder Kings has a design already. Woah this is looking good, please continue. You need to fix the light settings, it needs to be darker. Aim for a dark, greyish brown in both Ambient and Sunlight settings, maybe check out some of the Karthwasten ints, or use the T_Example_Rga_SetReach cell for reference. We haven't completely decided on what to do with non-canvas furn_de_cushion, but they look too fitting in this int to remove or exchange. Perhaps a simple retexture would be useful. Three cells could be fine. You can add storage and basement in the servant quarters cell. Two Dragonstar banners will be needed, yes (East and West). Otherwise the three Redguard tapestries included in the next Data update will suffice, along with the Diagna mural in the temple. As promised, here is one palace for the Nudri utei of Dragonstar. I kept it at two cells, but changed the lighting to match T_Example_Rga_SetReach and boy did it make a difference. I don't know where I got my lighting numbers from (Caldera?) but they are much too bright. For the exterior: I think it would be great if we gave the place a chimney, so that it's somewhat plausible that the food is actually cooked, and if we moved the single back door closer to the corner so that it matches the interior (to the right, if you're facing it). I saw in "History of Karthwasten" that Jarla Jona has moved her capital to Dragonstar, so I wonder whether the dead Redguard agent in Sky_iRe_Ds26 could be part of the cold/proxy war taking place. Investigating that might be one way to get into the higher tier Dragonstar quests. Edit/PS: The notes I included are more "proof of concept"; I don't mind them being changed. Also, stating the obvious, but encouragement is good! Your comment was my second wind, so thank you. Really awesome stuff! Very enjoyable to explore, and just the right amount of stylistic differences from the Nord-occupied manors to make it clear that another culture lives here. Chimneys and minor door/windows changes are fine, they will be altered when merging. There's a war waging in the shadows and alleys of Dragonstar, even if there's officially a truce between the Crowns and Nords. The agent in Ds26 is a part of this, yes. "not a day goes by without an act of terror from one side or the other" etc. It will have quite a tense atmosphere. Also, a nudri is basically someone who's not Redguard. While I'm here: this is finished, unless there are other suggestions. "Nudri" I got from what Yeti posted above, but I'm sure that could well have changed. Did you forgot to upload a new one or is the latest one the finished one? Wasn't there a throne room at one point, or was I just unable to find it? The small texts are a great addition btw. Although we'll have to settle this Nudri issue, Yeti. IIRC Nudri-Hi means eastern magic. The latest one is the finished one - I just noticed it had languished here for some time. The throne room is the two-storey mezzanine hall in Sky_iRe_Ds36. There's not much of a throne, due to limitations in space and assets, but it is a government in exile, after all. very good, off to review. Humptydum. I kept track of what I changed in this, but now I can't find the txt file.